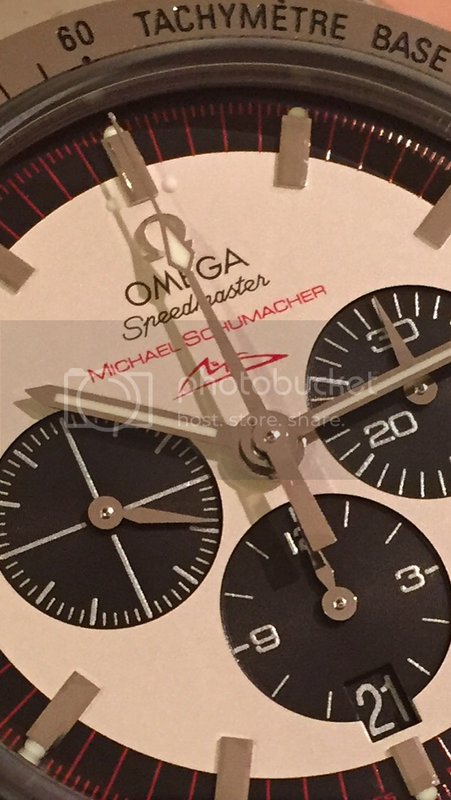 Omega Speedmaster Team Michael Schumacher Edition, only 500 pieces (Ref. 35533200) were made specially for the Japanese market to commemorate his 6th F1 World Champion Title, his 4th consecutive with Ferrari. 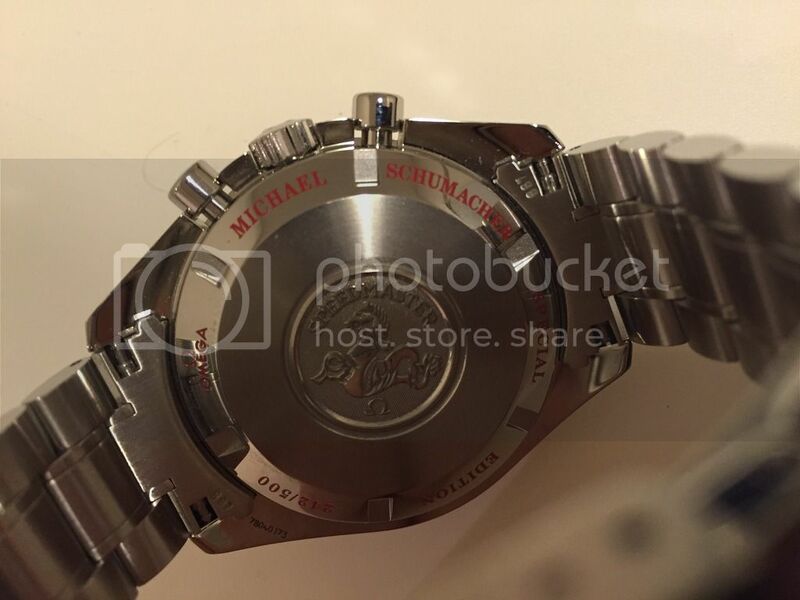 Rumor has it that Michael Schumacher had kept some to give to the Ferrari Team personnel and his close friends. This is no.242 of 500. 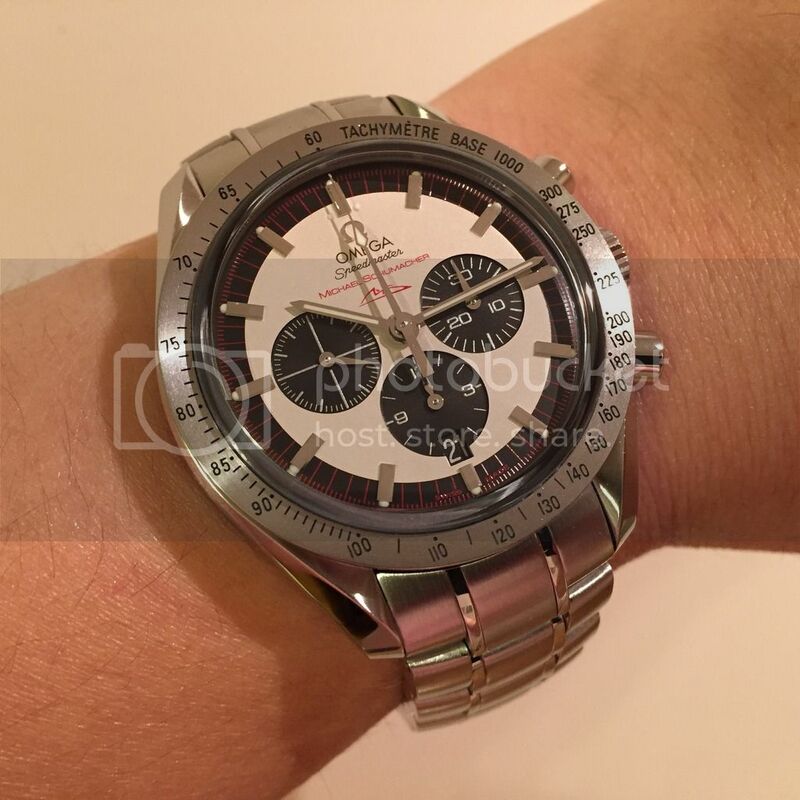 It looks very familiar to the Speedmaster Professional or 'Moonwatch' models from Omega. Is that correct? Yes, the case dimensions are more or less the same (diameter = 42mm) and the Legend has this typical a-symmetrical case design of the Speedmaster Professional. The finish of the case polished horns and the satin brushed mid-case is also identical to the hand-wound Moonwatch. One thing that is complete different is the movement. The Speedmaster Legend ref. 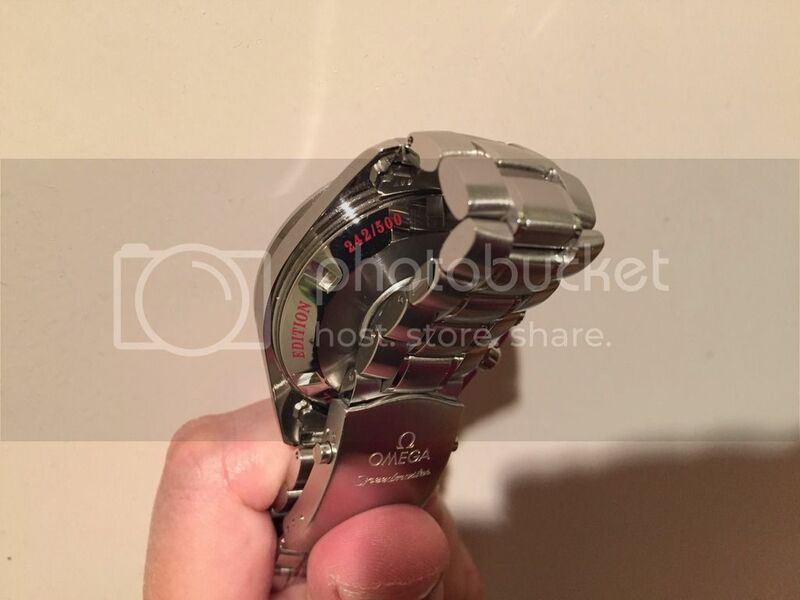 3559.32.00 features the Omega caliber 3301 automatic movement. This movement is based on an F.Piguet (caliber 1285) chronograph movement, with a column wheel mechanism for the chronograph function. Besides being a column wheel movement, Omega also had it chronometer certified. Last but not least, the Legend (but also the Broad Arrow models with the same movement from that period) have a date feature. The Speedmaster Professional 'Moonwatch' that is often discussed has of course the hand-wound Lemania based movements; without a date. Omega made many versions of the Speedmaster and some of them were only short-lived in the collection. Yet the dial on this special edition looks wonderful and the case design of the Speedmaster is almost unbeatable. The only downside one can think of is the association with the early Rolex 'Paul Newman' Daytona models. People might consider it as the poor man's Daytona, while all one wanted was a neat looking Speedmaster. Previous Topic: New Seamster 300 ceramic blue..